We manufacture our Trolley Cover in customized varieties to cater the specific requirement of our customers. We design these using advance quality imported materials acquired from authentic dealers. These trolley cover wrap both the side of the instrument trolley with the help of ties. Our customers can purchase these at the best market price range. - Disposable, help fight healthcare-associated infections (HAIs) by limiting the possibility of cross-contamination. We offer a wide variety of Mayo Stand Cover that caters the covering requirements of various hospitals. It can also be provided as per the specific requirements of our esteemed clients. The range of product is made under strict supervision and guidance of our experts and are highly appreciated in the market. These products are light in weight and puncture resistant. 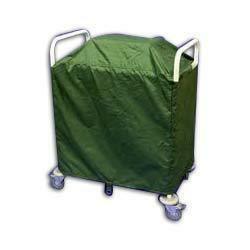 Our company is offering a supreme quality SS Trolley Covers at very affordable rate. We offer quality range of mayo stand covers in different sizes. Our range includes mayo stand cover reinforced, standard and double layer. Having excellent adhesion to tissue, these covers provide superb sealing properties, together with extremely high tear resistance. 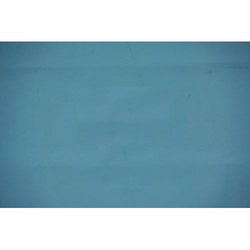 Designed as per photograph top covered with imported impervious material available in different sizes. Also available mayo trolly cover specially designed for both side cover.